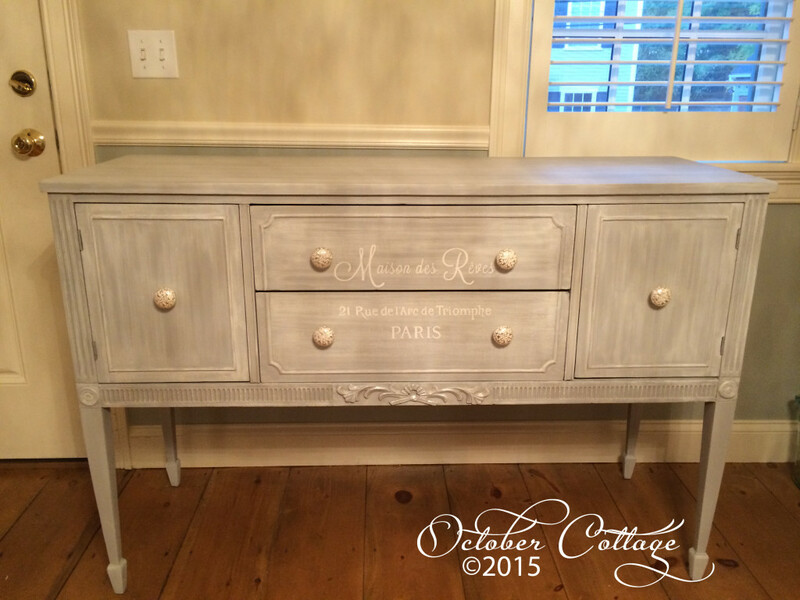 The Maison des Reves buffet was custom-painted by Susan for a customer in Newburyport. The Parisian graphic was created in the October Cottage studio and hand-lettered by Susan. We often have pieces with lovely lines that no longer fit our décor. These can be recreated for an entirely new look, and in this case, repaired and re-conditioned to function like new. Custom work is always a collaboration between Susan and you to achieve the look you’ve always wanted!